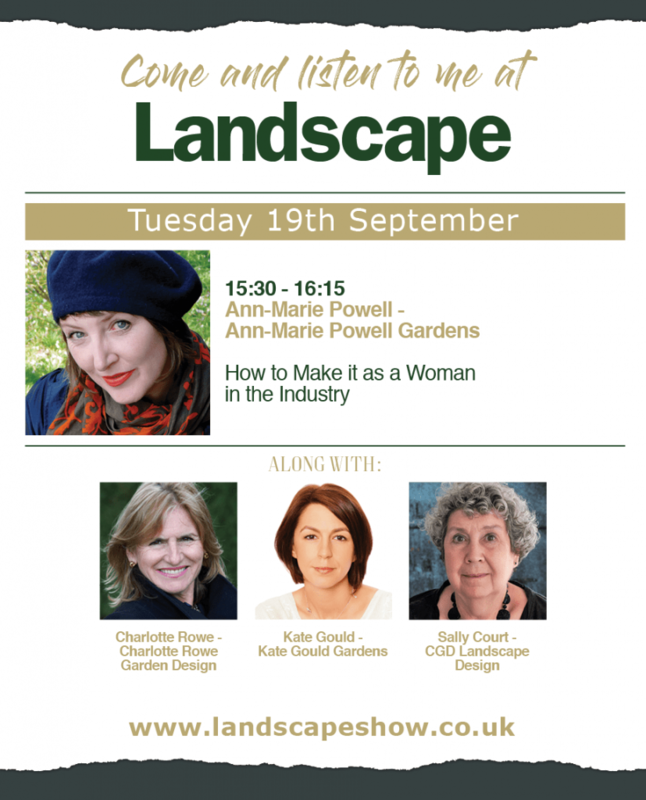 In a men-dominated industry, Ann-Marie Powell shares her successful professional story with the public of the Landscape show, the largest trade-only landscape event, joined by fellow designers Charlotte Rowe, Kate Gould and Sally Court. 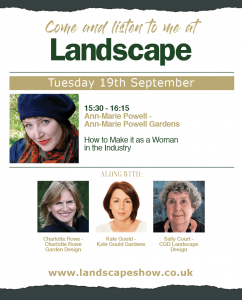 How to be taken seriously, how not to be overlooked by sponsors for show gardens and how to deal with the way that contractors speak to you. Landscape professionals can attend by registering here.